First of all, the Pope has resigned. Heaven only knows all the details and reasons behind that choice. What we do know is that he is done. Finis. Stick a fork in him, wave bye bye, he's outa here. That means there will be a Cardinal's council convened and charged to elect a new Pope. The Church will continue and has procedures in place to ensure its continuity. They have waaaaay too much money and power to just close their doors and go away because Benedict resigned. 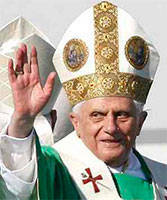 Yes there is a prophecy from back in the 12th century that said there would be 112 popes and Benedict was number 111. There was a much older prophecy that the world would end with the Mayan calendar last December and you know how that turned out. Foretelling the future is tricky. You should keep in mind that our Earth is not broken. The Big Bang is not going to come back together in a Big Crunch. In fact, scientists tell us that the Universe is expanding more and faster than ever before. The Divine Plan is that everything everywhere seeks to grow. That includes you and your dreams. When you quit growing you begin dying. Benedict is dying. You and your dreams are not! 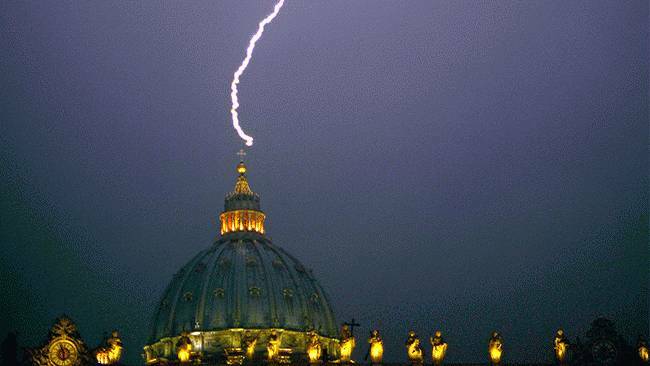 According to my sources, the Catholic Church—and Christianity for that matter—is not done. Dogma is done, but not the teachings of Christ. Churches, in general, are losing their appeal to their members, due partly the tendency today to resist blind acceptance of edicts from an organization which seeks to get between a person and their God. People today are more spiritual and less religious. With the understanding that God is not a Catholic, Jew, Muslim, or Hindu, comes the realization that God simply is. No church is required for admission to talks with the Big Guy in the Sky. Kindness will always be a good idea. 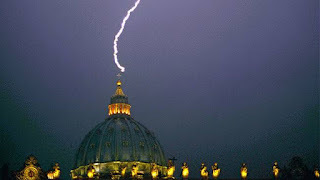 The fact that lightning struck the peak of the Vatican just after Benedict's announcement means there was a powerful charge of static electricity that discharged itself from the sky, through the lightning rod at St. Peter's, to the ground. Lightning has always rattled us. Hearing the thunder will cause people and animals to cower. Zeus and Thor are well known for their lightning bolts, as well as many other gods. All of us have heard "God will strike you down for saying/doing that!" That strike part refers to lightning and we know it. Lightning has supernatural importance. If it struck the top of your house it would get your attention. What YOU think it means determines the meaning of it. My sources say, "Hmmmm, very interesting. I wonder what's been going on in there lately?" What we know for sure is that Benedict is leaving and someone else is coming in. We also know there has been a large discharge of power. 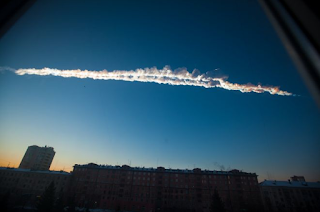 Right on the heels of this comes the 55 foot in diameter/10,000 ton meteor which let loose nearly 500 kilotons of energy as it burned through the sky at Chelyabinsk, Russia. This was almost thirty times more energy than the atom bomb released when it was dropped on Hiroshima! Thirty times more! Yes, some buildings were damaged and some people were hurt, but everyone really did come out in the best of results with this natural disaster. A meteor falling to Earth adds a bit of star dust to our planet. Something new has definitely been added. A miracle happened when so little damage and death were caused by this event. There are BIG changes coming to the Catholic Church with a completely new leader on the way. Change is good. Spirituality is growing to be more pervasive while religious dogma is fading from our lives. We will connect to our God without assistance, interference, or guidance. This is all good. Lightning strikes all the time all over the earth. We are watching the Vatican. We are aware that a wrist has been slapped. We are also aware that a shift in power has occurred. Another good thing. 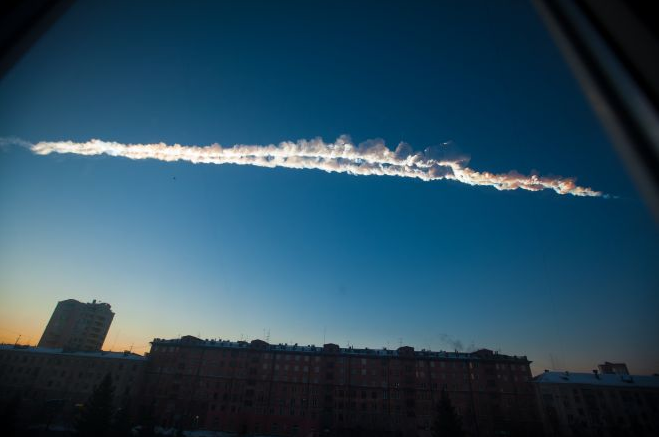 A once in a century sort of meteorite has landed in Russia and caused surprisingly little damage. Smile. Expect more good stuff. 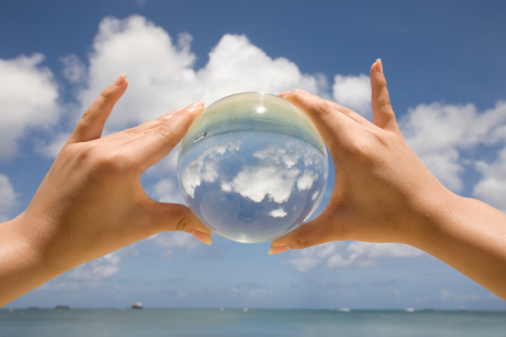 Whatever is coming next, expect something wonderful. What you look for is what you'll see. Here is your heads-up for the planet Mercury's moving into retrograde. Its wobble starts today, February 13, 2013. February 23 and March 17 are the beginning and end dates, or when Mercury seems to be stationary. DO NOT SIGN ANYTHING on those days. Bite your tongue on those days and LISTEN instead of arguing. Outside of those dates, the hijinks are apparent if you know what you're looking for. Watch them and smile. It disarms the energies for you to take them lightly. During the retrograde itself, use the time to review, research, or rethink. Have a Plan B for everything. Read the fine print - twice! Stay detached and wait for the energy to resettle after March 27th. This too shall pass. Then we're clear till June and July.